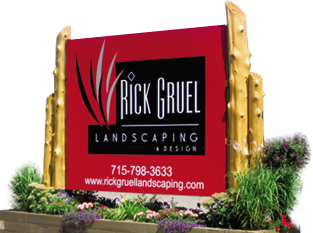 Rick Gruel Landscape & Design team has worked with these businesses and their ideas to provide the best solutions for design, erosion control and enhancing the business property. Trucker is our New Puppy, Watch his progress as he grows. We will post pictures here & on our facebook page. Come & visit him at the shop & retail center in Cable, Wisconsin.